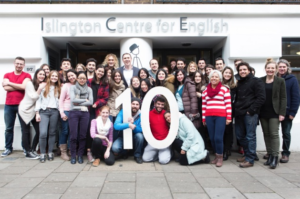 Our language courses in London Islington are held in our small and friendly school, just one minute’s walk from Angel underground station, and ten minutes from major rail links King’s Cross and St Pancras. Situated in a truly lively and historical London borough, known for its sense of community and interest in the arts and culture, it’s the perfect environment to study and socialize in some of London’s best night-clubs, pubs, bars and theatres. Our school is well-equipped and our classrooms are specifically designed for language learning. Please visit our course outline page for full information on the course content. 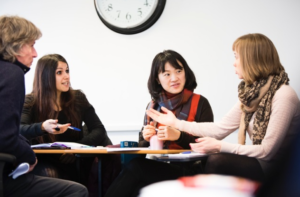 For detailed information on what to expect from our courses, you can check our Language Course Questions page. You can also check your level here. For more information on any of our courses, or just general advice on language learning, please call us on 01273 830 960 or email us. Our multilingual team will be happy to answer any questions you may have.